June 6th is near, as near as 13 days from today. Why is June 6th so important? 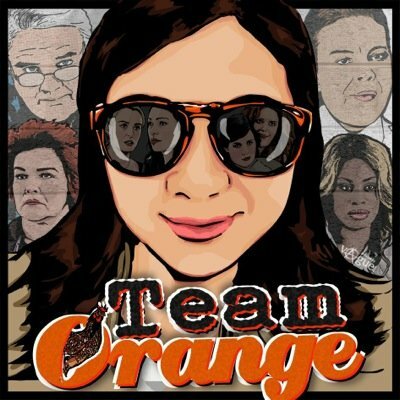 It’s the premiere of Season Two of Orange is The New Black! 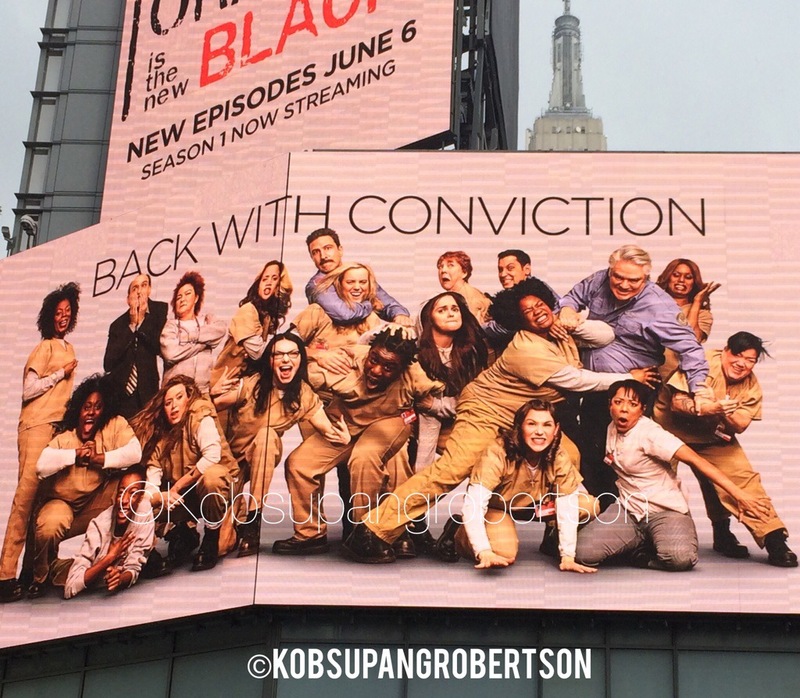 As if I couldn’t be any more stoked and extremely excited, Netflix has given me an early Christmas gift which is releasing some super cool billboards and life-size posters of Orange is The New Black, and some individual characters. If you love the show and live in/or are visiting NYC, these are places should add on your top list! So far I have witnessed this magic in three locations. I trekked all the way downtown to this building right on the corner of Broome Street and West Broadway. It’s amazing to see the whole building decorated with full art in the windows playing looped actions from the cast instead of regular posters. I love this location so much and on top of that there is a great macaron place nearby called Laduree. The second location I discovered is Union Square; the entire station is flooded with posters. How great is it that that now you can take selfies with your favorite characters! 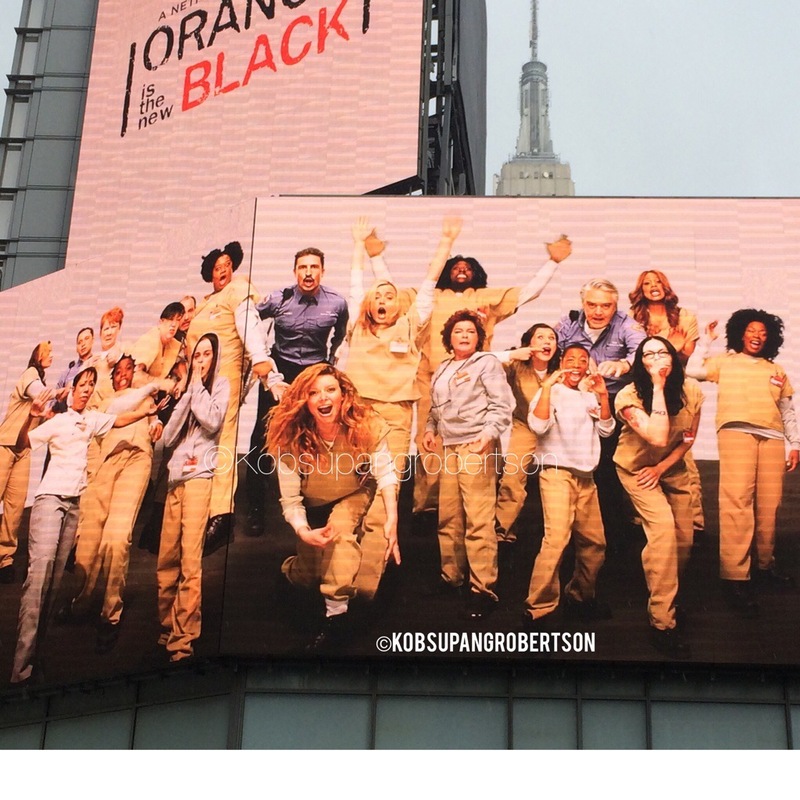 Last but not least, a huge moving billboard in the heart of midtown on 34th Street and 7th Avenue. 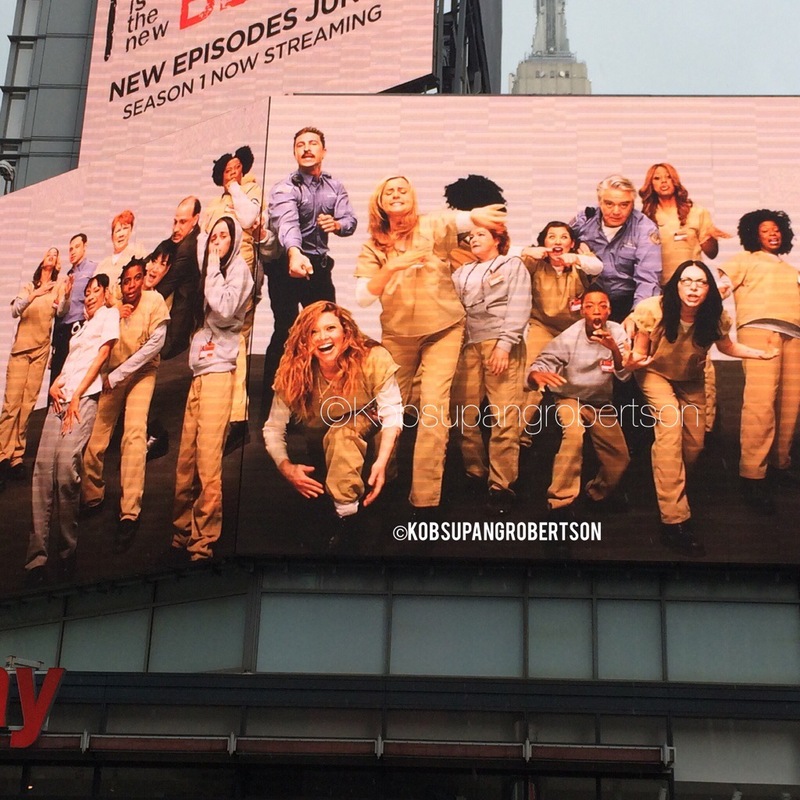 Right on top of H&M, you will see the main cast of Orange is The New Black on a moving billboard, as it loops every minute. I had a good time standing there and watching the cast of OITNB being all goofy. What awe-inspiring marketing right in the Big Apple. Hopefully, we see more of these and they keep it up until this summer!